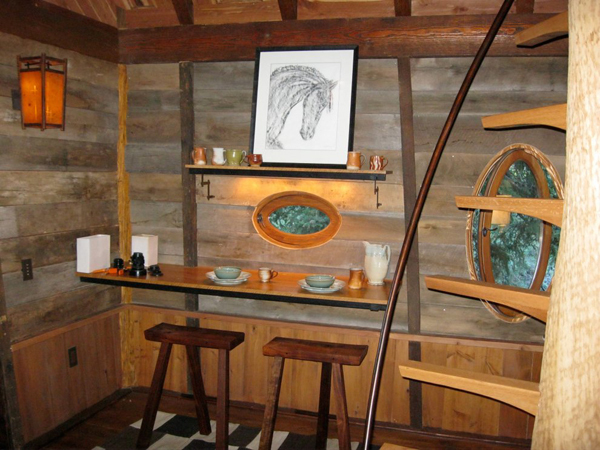 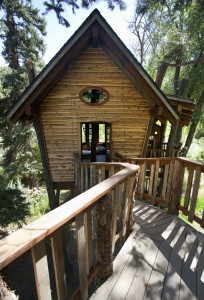 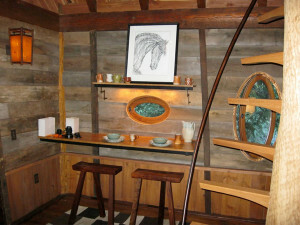 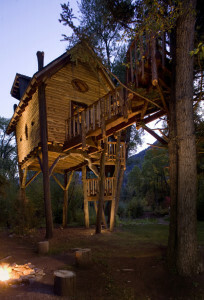 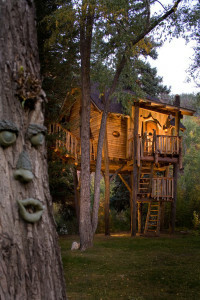 When fun, frivolity and fantasy meet architecture, the designer David Rasmussen answers with this wonderful tree house! 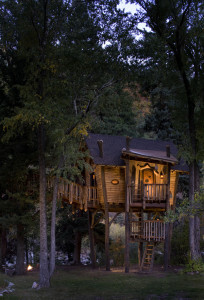 This treehouse located in Carbondale, Colorado, has been commissioned by a young couple to be the ultimate children’s playhouse, and I have to say that is a real house but with the appearance of a fairytale house, for people who are adults but want to remain children inside! Since it hasn’t any sense to build a treehouse in woods cutting trees around, the designer decided to use just blown-down timbers and local materials. As the designer explained before, he built log columns to be the main supports, since the cottonwoods of the property weren’t strong enough to build on. 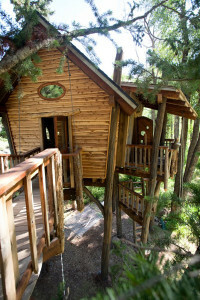 The foundation system with pine was chosen for its minimal impact to the root system of the surroundings trees. 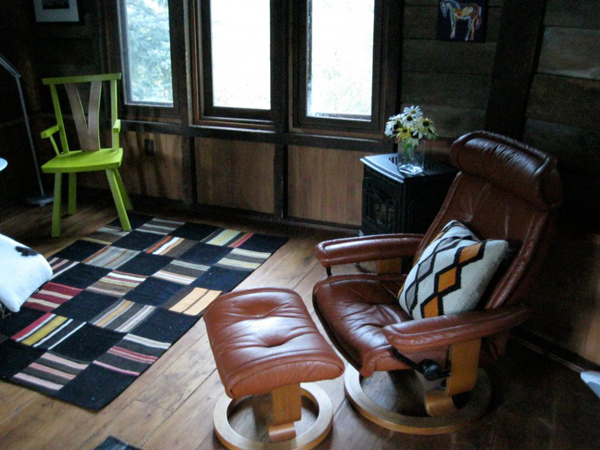 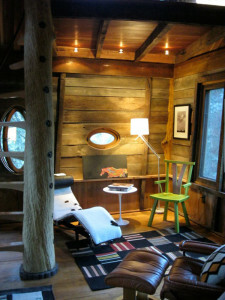 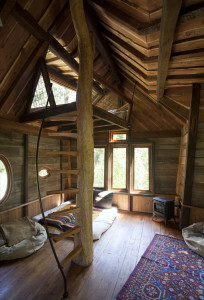 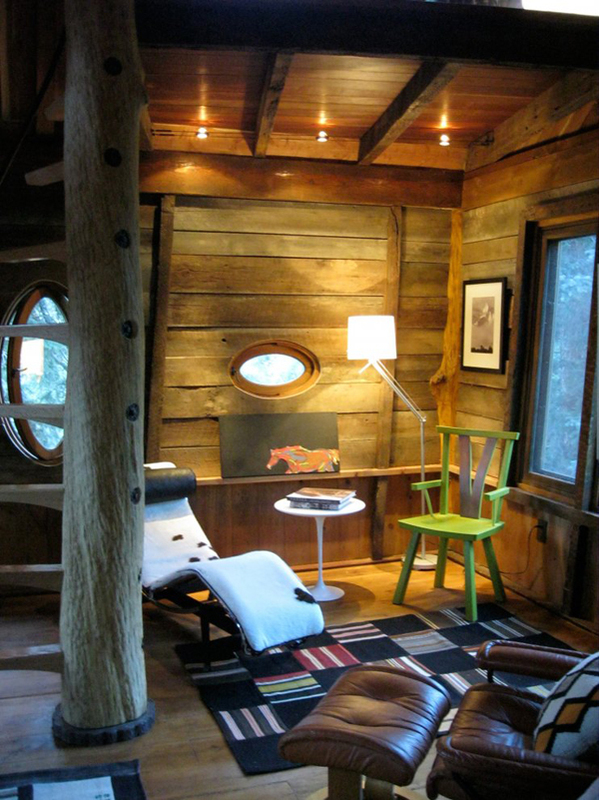 Inside the treehouse is very wide and bright thanks to its large and different shapes windows, with high ceilings. Since the house has high ceilings, the designer planned a loft inside that can be reach by a very strange and fun spiral ladder. 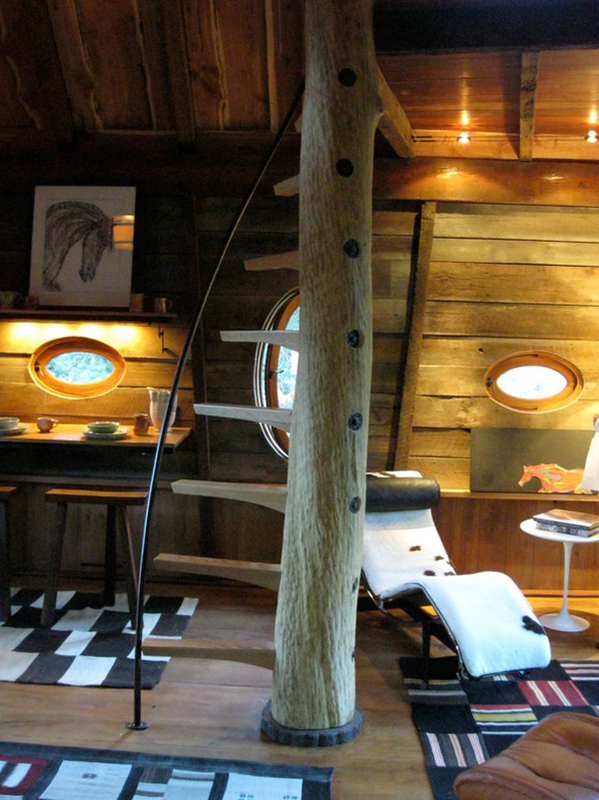 The furniture is very minimal to leave the attention at the structure of the house and a stove is in the main room for the cold winters.